The leaves are falling, must be time to cover the tomatoes and bring in the houseplants. Freeze predicted tonight-the radio people keep saying “temperatures in the 30’s” which seems unfairly vague. 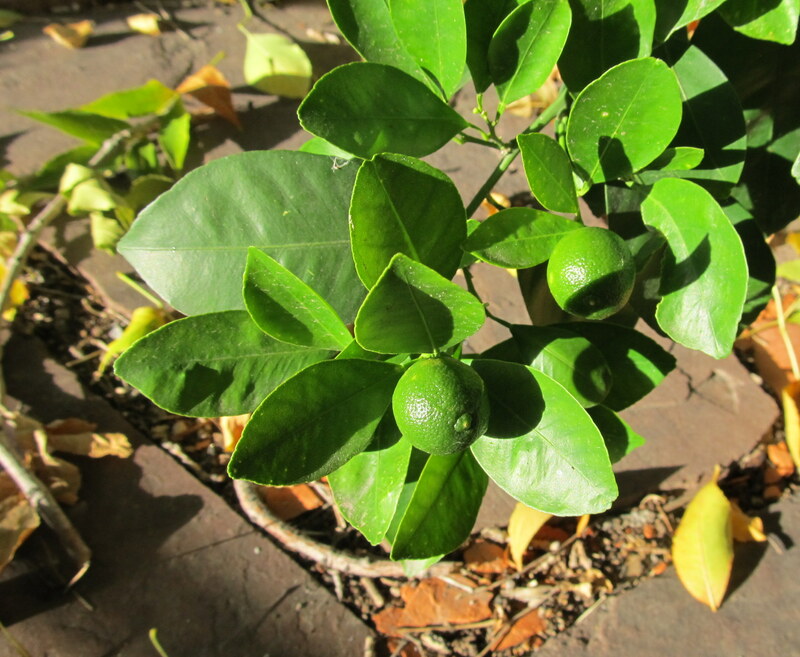 It is time to move my pots of citrus inside for the zone 5 fall and winter. and much of spring, if we are honest. When I was pregnant with my daughter, now 12, I bought a lemon, a lime and an “orange” tree for about 10 bucks, for all 3 from a catalog- don’t remember which one. I thought I was getting a huge bargain- when they arrived, they were twigs. The biggest was the lemon, which had a trunk as big around as a pencil, and about 4 leaves. The other two were like q-tips. So I planted them and waited. I didn’t just wait- I had a baby, and watched the baby grow, and taught middle school, and then had another baby and watched that baby grow, and when that baby was walking, the orange tree bloomed. Heavenly smell, tiny bb sized fruit, that grew to marble sized, then…what’s smaller than a ping pong ball? A big marble? Yeah, big marble-sized. They ripened to orange, but remained small and sour. Since then, the lemon has produced actual real sized lemons, but not very many, and the lime has produced actual real sized limes, but, again, not very many. They are pretty plants. I have other house plants that don’t do much of anything other than purify the air. When these bloom, they smell amazing, even on the patio. In the Boy’s room, which has the best light, they fill the air with fragrance when they bloom in the winter. The novelty is another reason- one year I brought them to school for the winter, when I had a classroom with windows, and students would bring their friends in and dare them to eat the oranges. Order them, or if you have a good local nursery with citrus, buy there. Once they are big, they take a big pot- mine are about 12 years old now, and are in 14 inch pots. I use a dolly to move them outside in the spring and back inside in October. When they come in, spray with the hose attachment of the kitchen sink, under the leaves especially to get rid of any hitchhikers. Looking at this, I realize it might make more sense to spray them outside, instead of in the kitchen, especially if by “hitchhikers” I mean “tiny bugs.” Which I do. Citrus like bright indirect light, and humidity. Much like myself. Not too much humidity, though. Dry air can make them drop leaves. It hasn’t been cold enough for the heat to come on very much yet, so there isn’t too much difference in humidity bringing them inside. The Boy’s room has a fish tank which evaporates enough that the plants do okay. You don’t have to buy a plant, if you are in it to experiment. A neighbor of my mom’s planted a grapefruit seed, or her toddler did, probably close to 50 years ago. It grew big enough that they couldn’t fit it in their house, so they donated it to the public library, where it brushed the ceiling in the children’s section when I was a kid. Don’t know if it is still there. My parents gave me an orange tree which died, I placed it a little bit to early in a small unheated polytunnel and the frost got to it. I remember the smell from visits to Spain and I am definitely giving it a go again! Then again why am I still waiting to get that green house? I’m waiting on the greenhouse until my kids no longer want their playhouse, then I am converting it. Probably. Also, cash is an issue! Go for the lemons- sunny windows will work, and start small, then when you build your greenhouse, they’ll be bigger.